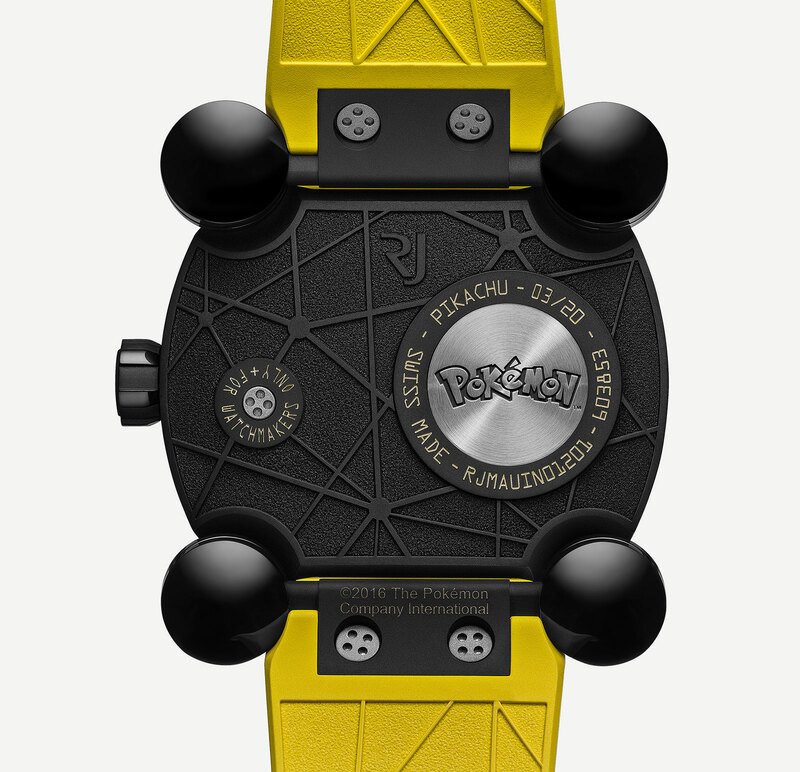 The bright yellow Pokémon makes its debut on Romain Jerome's latest wristwatch. 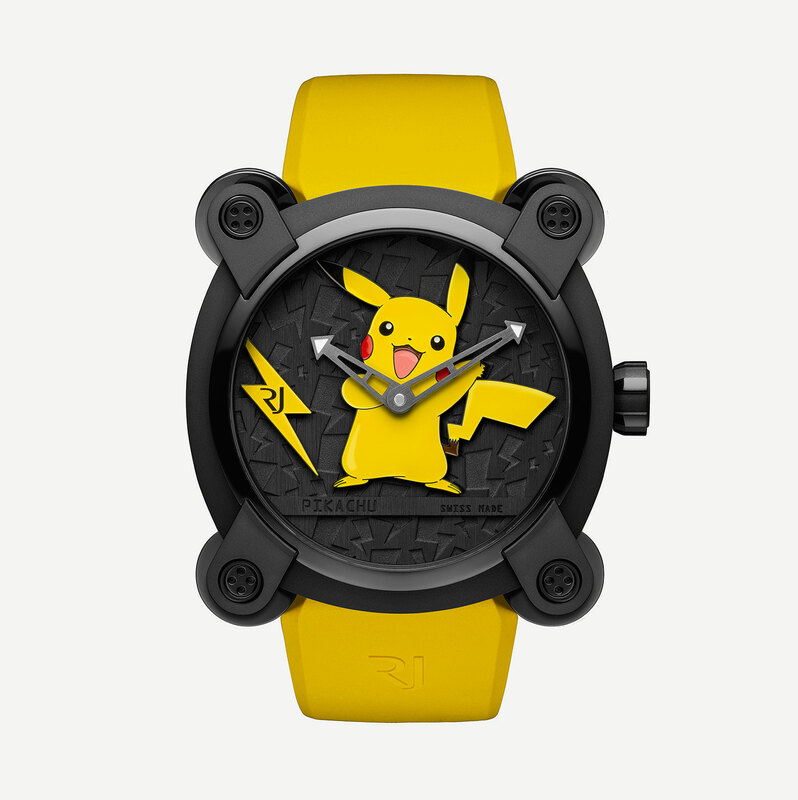 The latest pop culture icon to make it to a Romain Jerome wristwatch – after Super Mario and Batman – is Pokémon. The limited edition RJ x Pokémon watch sports a Pikachu, arguably the most recognisable creature from the hit Japanese video game Pokémon. Short for “pocket monster”, the franchise recently enjoyed a renaissance thanks to the Pokemon Go augmented reality smartphone game, making the Pikachu watch bang on time. Depicted on an applied metal inlay covered in bright and glossy hand-painted lacquer, the Pikachu sits on a dial engraved with a lightning pattern, a reference to the fact that the creature has some sort of electrical super power. Made of titanium with a black diamond-like carbon (DLC) coating, the case is 46mm in diameter with four swivelling feet at each corner, the characteristic style of the Romain Jerome Moon Invader watch case that’s inspired by a lunar lander. The RJ x Pokémon watch is a limited edition of 20 pieces, priced at US$20,000. It is already in stores but only available at Romain Jerome retailers in Europe, the Americas and the Middle East. Romain Jerome and DC Comics join forces to unveil the Spacecraft Batman, a wristwatch inspired by the "Tumbler" Batmobile.